LG Electronics (LG) announced it will be unveiling the world’s first 21:9 aspect ratio CURVED ULTRA HD TV (Model 105UB9) at the International Consumer Electronics Show (CES) in Las Vegas. LG’s newest premium TV is also the company’s very first CURVED ULTRA HD model. The award winning groundbreaking 105-inch (measured diagonally) 105UB9 is officially the largest curved TV ever made. Boasting an 11 million pixel (5120 x 2160) screen resolution, the 105UB9 represents the successful collaboration between LG Electronics and LG Display. In order to realize the TV’s curvature, new technology was introduced to resolve a number of issues, such as maintaining structural integrity and delivering uniform color and brightness across such a large screen. Until now, OLED panels were preferred for curved displays due to their ability to generate their own light. LG Display overcame the challenge of uneven backlighting by refining its Thin Film Transistor (TFT) pixel circuit technology to prevent color leakage and to ensure a superior viewing experience from virtually any angle. Acer announces the appointment of Jason Chen as Corporate President and CEO from January 1st, 2014. Taking the important role of leading Acer through its corporate transformation, Chen is currently the senior vice president of Worldwide Sales and Marketing at Taiwan Semiconductor Manufacturing Company (TSMC). The resolution was approved by Acer's board of directors today. Acer Chairman Stan Shih said, "Jason is an excellent manager with extensive management experience and proven execution capability. Acer's search committee met with him on several occasions for in-depth dialogue and exchange of views. We consider him to be the ideal executive to lead our transformation with his wealth of new thinking, international perspective, and willingness to face this challenge. Moreover, he shares the consensus on our strategy and development for Acer's future." With Chen as Acer's Corporate President and CEO, Shih shall continue to serve as Chairman of Acer and Chairman of the Transformation Committee. In addition, Chen will become a member of the committee and work together to review the change initiatives, and enhance communication and processes between the Board and the management team. Before joining Acer, Chen served at TSMC from 2005 as the vice president of TSMC Corporate Development. Since 2008 he has served as senior vice president of Worldwide Sales and Marketing. From 1991 to 2005 Chen worked at Intel for 14 years in a variety of sales and marketing positions in growing capacity. He joined Intel as sales manager of Taiwan and later regional sales manager of Greater China. Chen then progressed to become vice president and general manager of Asia Pacific region before his last assignment as the corporate vice president of Sales and Marketing Group based in the U.S. headquarters. Before joining Intel, Chen worked at IBM Taiwan from 1988 to 1991. Chen was born in 1961 and graduated with a Bachelor's degree in Business Administration concentrating on Communication and Transportation Management at Taiwan's National Cheng Kung University, where he has also been honored by the university's North American Alumni Association as an outstanding alumnus. Chen earned his MBA degree from the University of Missouri in the U.S. and is a prominent person in the IT industry. Thecus is pleased to introduce the N7710 and N8810U. 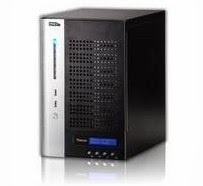 These latest NAS for SMB and enterprise networks will debut next month at the renowned IT trade show, CES 2014. With upgraded hardware and new features and software, these two towers are powerful performers for high-speed, efficient networks. Thecus will also be showcasing its latest SOHO/Home NAS models, and invites all visitors to come by its booth, #80236 in the Gold Pavilion. Powered by Intel Pentium G850 Dual Core processors (2.9GHz) and 4GB DDR3 ECC memory, the N7710 and N8810U represent major upgrades over their predecessors. They are capable of delivering blistering network speeds, and can be equipped with an optional 10Gb Ethernet card (N7710-G and N8810U-G). To keep data safe and sound, the N7710 and N8810U are shielded by McAfee Antivirus and back up data using the award-winning Acronis True Image 2013 software. With Acronis True Image, users can either back up all their data with one click, or pick and choose only their most important files to backup. And thanks to Thecus's active app developer community, over 90 official and third-party apps are available. People need various accessories for their devices. 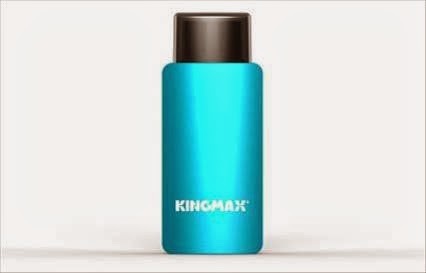 For this kind of trouble to transfer data among different devices, KINGMAX is thoughtful to design this OTG USB! Portable devices do not need external accessory to connect PCs or other host with the plug-and-play design, supported OTG(On-The-Go) function of android smart phones and tablets, people can read/edit files much more easier. 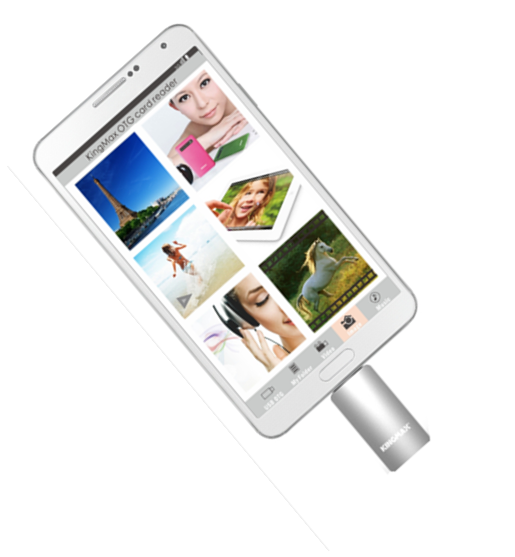 When portable devices couldn’t search Wi-fi signal, OTG USB make users read/edit files as usual. User needn't search any cybercafé or fast food restaurant anymore. By the way, the OTG USB is really small and featherweight for taking along, only 3 grams. It is convenience for outdoor enthusiasts to carry. Users can always hold their important data. Not only for the convenience, but also for trendy style with multi fashion-colors. PJ-01 is an indispensible tool for maintaining and updating data when on the road. Users will enjoy quality and convenient on-the-go experience. By sharing files, friends will be closer, and life will have more colors. All KINGMAX flash drives undergo the strictest quality control, and are subjected to strict testing. KINGMAX ensures premium product quality and flawless customer service. 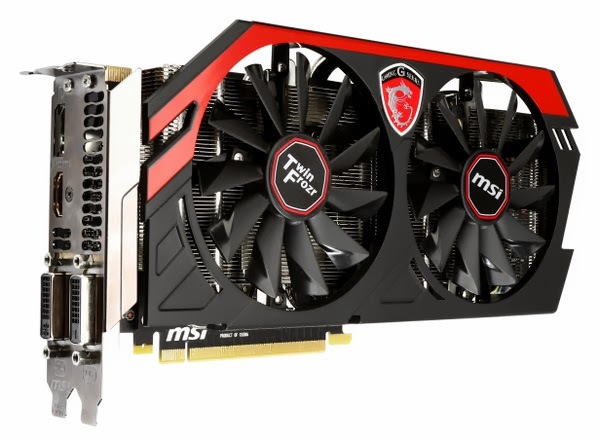 MSI announced the availability of the GTX 780Ti GAMING graphics card. Featuring the powerful new NVIDIA GeForce GTX 780Ti GPU with 3GB of Blazing fast GDDR5. The MSI GTX 780Ti is equipped with the award winning Twin Frozr IV Advanced Thermal Design on top of a customized PCB that promises to maximize performance and efficiency for the highest FPS at the lowest temperatures and least noise. Equipped with MSI’s proprietary Airflow Control Technology, a two 10cm fan setup with patented Propeller Blade Technology, the GTX 780Ti GAMING is sure to impress with its thermal performance. MSI’s Gaming App is an easy utility to quickly switch between different settings. the OC mode offers the best performance, Silent mode reduces the fan noise and Gaming mode with offers an optimal balance between the two. Additionally, MSI’s Military Class 4 components deliver higher stability at a longer life time while the efficiency is increased. The GTX 780Ti GAMING features hardware and software designed for real gamers, making it the best choice to dominate your game.